The Vol. 2, No. 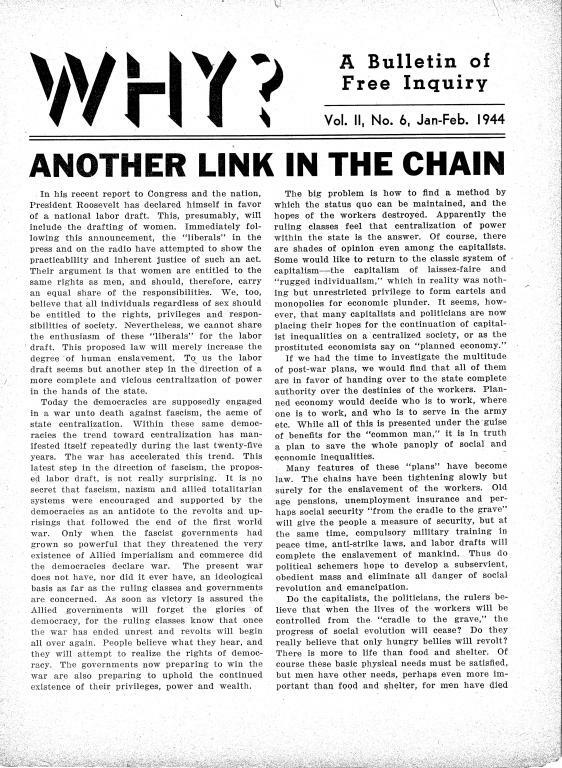 6 (January-February 1944) issue of Why?, an anarchist publication produced out of New York City from 1942-1947. -Education: tool of a free society by J.A.W. -Bronson Alcott: pioneer of progressive education by C.B.